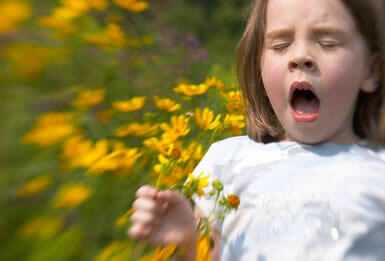 An allergy is an overreaction of the immune system to a substance that's harmless to most people. But in someone with an allergy, the body's immune system treats the substance (called an allergen) as an invader and reacts inappropriately, resulting in symptoms that can be anywhere from annoying to possibly harmful to the person. In an attempt to protect the body, the immune system of the allergic person produces antibodies called immunoglobulin E (IgE). Those antibodies then cause mast cells and basophils (allergy cells in the body) to release chemicals, including histamine, into the bloodstream to defend against the allergen "invader." It's the release of these chemicals that causes allergic reactions, affecting a person's eyes, nose, throat, lungs, skin, or gastrointestinal tract as the body attempts to rid itself of the invading allergen. Future exposure to that same allergen (things like nuts or pollen that you can be allergic to) will trigger this allergic response again. This means every time the person eats that particular food or is exposed to that particular allergen, he or she will have an allergic reaction. 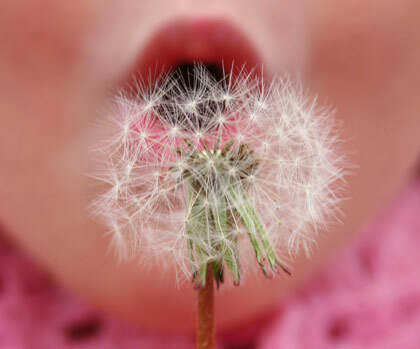 The tendency to develop allergies is often hereditary, which means it can be passed down through your genes. However, just because you, your partner, or one of your children might have allergies doesn't mean that all of your kids will definitely get them, too. And someone usually doesn't inherit a particular allergy, just the likelihood of having allergies. But a few kids have allergies even if no family member is allergic. 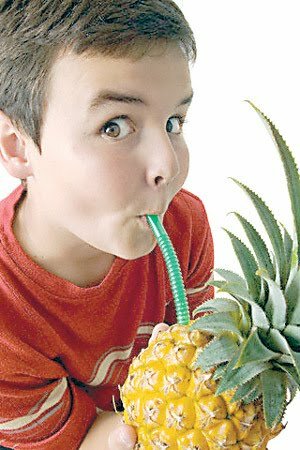 A child who is allergic to one substance is likely to be allergic to others as well. Dust mites are one of the most common causes of allergies. These microscopic insects live all around us and feed on the millions of dead skin cells that fall off our bodies every day. Dust mites are the main allergic component of house dust, which is made up of many particles and can contain things such as fabric fibers and bacteria, as well as microscopic animal allergens. Dust mites are present year-round in most parts of the United States (although they don't live at high altitudes), and live in bedding, upholstery, and carpets. Pollen counts measure how much pollen is in the air and can help people with allergies determine how bad their symptoms might be on any given day. Pollen counts are usually higher in the morning and on warm, dry, breezy days, whereas they're lowest when it's chilly and wet. Although not always exact, the local weather report's pollen count can be helpful when planning outside activities. Molds, another common allergen, are fungi that thrive both indoors and out in warm, moist environments. Outdoors, molds may be found in poor drainage areas, such as in piles of rotting leaves or compost piles. Indoors, molds thrive in dark, poorly ventilated places such as bathrooms and damp basements, and in clothes hampers or under kitchen sinks. A musty odor suggests mold growth. Although molds tend to be seasonal, many can grow year-round, especially those indoors. Pet allergens from warm-blooded animals can cause problems for kids and parents alike. When the animal — often a household pet — licks itself, the saliva gets on its fur or feathers. As the saliva dries, protein particles become airborne and work their way into fabrics in the home. Cats are the worst offenders because the protein from their saliva is extremely tiny and they tend to lick themselves more than other animals as part of grooming. Pet allergens are also present in dander, hair, and urine. 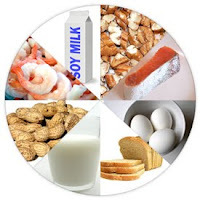 The American Academy of Allergy, Asthma, and Immunology estimates that up to 2 million, or 8%, of kids in the United States are affected by food allergies, and that eight foods account for most of those food allergy reactions in kids: eggs, fish, milk, peanuts, shellfish, soy, tree nuts, and wheat. Cow's milk (or cow's milk protein). Between 1% and 7.5% of infants are allergic to the proteins found in cow's milk and cow's milk-based formulas. About 80% of formulas on the market are cow's milk-based. Cow's milk protein allergy (also called formula protein allergy) means that the infant (or child or adult) has an abnormal immune system reaction to proteins found in the cow's milk used to make standard baby formulas, cheeses, and other milk products. Milk proteins can also be a hidden ingredient in many prepared foods. Eggs. One of the most common food allergies in infants and young children, egg allergy can pose many challenges for parents. Because eggs are used in many of the foods kids eat — and in many cases they're "hidden" ingredients — an egg allergy is hard to diagnose. An egg allergy usually begins when kids are very young, but most outgrow the allergy by age 5. Most kids with an egg allergy are allergic to the proteins in egg whites, but some can't tolerate proteins in the yolk. Seafood and shellfish. 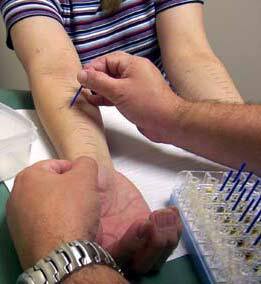 The proteins in seafood can cause a number of different types of allergic reactions. Seafood allergy is one of the more common adult food allergies and one that you don't always grow out of. Peanuts and tree nuts. Peanuts are one of the most severe food allergens, often causing life-threatening reactions. About 1.5 million people in the United States are allergic to peanuts. (Peanuts are not a true nut, but a legume — in the same family as peas and lentils, although people with peanut allergy don’t usually have cross-reactions to other legumes). Half of those allergic to peanuts are also allergic to tree nuts, such as almonds, walnuts, pecans, cashews, and often sunflower and sesame seeds. Like seafood allergy, peanut allergy is one you don't always grow out of. Soy. Like peanuts, soybeans are legumes. Soy allergy is more prevalent among babies than older children; about 30% to 40% of infants who are allergic to cow's milk are also allergic to the protein in soy formulas. Soy proteins, such as soya, are often a hidden ingredient in prepared foods. Wheat. Wheat proteins are found in many of the foods we eat — some are more obvious than others. As with any allergy, an allergy to wheat can happen in different ways and to different degrees. Although wheat allergy is often confused with celiac disease, there is a difference. Celiac disease is caused by a sensitivity to gluten, which is found in wheat, oat, rye, and barley. It typically develops between 6 months and 2 years of age and the sensitivity causes damage to the small intestine in a different way to the usual allergic reaction. 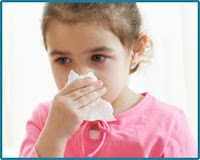 The type and severity of allergy symptoms vary from allergy to allergy and child to child. Allergies may show up as itchy eyes or an itchy nose, sneezing, nasal congestion, throat tightness, trouble breathing, and even shock (faintness or passing out). Symptoms can range from minor or major seasonal annoyances (for example, from pollen or certain molds) to year-round problems (from allergens like dust mites or food). Allergies to dust mites are common to the eastern parts of the United States, but not in areas of high-altitude and low humidity (for example, like Colorado). Because different allergens are more prevalent in different parts of the country and the world, allergy symptoms can also vary, depending on where you live. For example, peanut allergy is unknown in Scandinavia, where they don't eat peanuts, but is common in the United States, where peanuts are not only a popular food, but are also found in many of the things we eat. Airborne allergens can cause something known as allergic rhinitis, which occurs in about 15% to 20% of Americans. It develops by 10 years of age and reaches its peak in the early twenties, with symptoms often disappearing between the ages of 40 and 60. These symptoms are often accompanied by itchy, watery, and/or red eyes, which is called allergic conjunctivitis. (When dark circles are present around the eyes, they're called allergic "shiners.") Those who react to airborne allergens usually have allergic rhinitis and/or allergic conjunctivitis. If a person has wheezing and shortness of breath, the allergy may have progressed to become asthma.